Texas attorneys will handle your unbundled case for a low flat fee. 2) You only want to pay for specific attorney services and not the full representation. Limited scope representation, or "unbundled legal services", is when you hire an attorney to represent you for only a specific task, such a drafting a document, or just legal advice. In this way, a lawyer provides only specified legal services to a client rather than handling all aspects of a client’s case. For example, in an adoption case the client and the attorney could agree that the attorney will draft their court documents and advise them through the process. The client in turn will simply appear at the hearing, and save thousands of dollars. 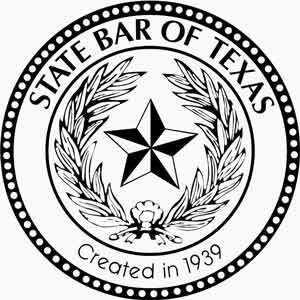 In Texas, the ‘limited scope’ law can be used for both family law and civil matters. This gives lawyers the ability to help people with partial or specific legal tasks and charge a flat fee for the limited representation. The client in these cases will appear “pro se” as this term means that they are not fully represented. In these cases, the ‘attorney of record’ is the client, even though the client is directly receiving advice from a licensed attorney. Is unbundled (limited scope) a good fit for your case? Right off the bat: limited scope is NOT a good fit if your legal issue is more complex, or if it will be a highly contentious matter. Legal fees made simple - only pay for what you need. Experienced attorneys with knowledge of the courts and procedures. Legal advice for specified legal services. But, there are many times when limited-scope may not be a good choice, like when: A lawyer can help you focus on the legal issues and on what the court can do for you, and can identify potential problems or hidden complications early on, so you can avoid making a costly mistake. If you are a stepparent looking to adopt a child, just tell us about your case. Contact us today regarding your adult adoption or last name change. Our attorneys will consult with you, and then draft your will to your specifications. When you are seeking a simple, agreed divorce, you can hire a limited scope attorney to do the paperwork. A qualified domestic relations order is necessary when initiating your divorce or legal separation. An attorney will draft your QDRO to conform with the language in your divorce or legal separation documents. Whether you are considering Chapter 7 or 13, our bankruptcy attorneys may help if a limited scope bankruptcy is right for you.